When you think of a nature preserve, chances are you picture a tract of pristine, healthy wilderness, set aside in order to protect a functioning ecosystem. But what if not much remains of the ecosystem you want to protect? A new proposal by an international group of scientists and conservationists is challenging traditional ideas about what’s worth saving when it comes to coral reefs. In 2010, the U.N. Convention on Biological Diversity set a goal of conserving 10 percent of each of the world’s ecological regions, and agencies and governments around the world have set aside areas of healthy coral reef habitat as Marine Protected Areas or MPAs. However, the authors of a new study in the journal Conservation Biology argue that not enough pristine reefs might remain to meet this goal. The solution, they say, is to create new MPAs around degraded reef habitat, building opportunities for restoring and reconnecting reefs instead of simply abandoning these areas as lost forever. The new paper lays out a framework for selecting and managing sites to protect based on factors such as their state prior to degradation, potential for recovery, and resilience in the face of disturbance and stress. Site-specific management plans would attempt to turn sites that can’t support healthy populations of fish and other coral reef creatures without immigration from other areas into high-quality patches where populations can grow. Successful restoration takes a long time, and since in most cases it requires suspending the harvesting of fish from an area, one major challenge will be getting buy-in from local communities that depend on fishing. “Your proposal has to say to those stakeholders, we need to do this for the long-term benefit of the ecosystem,” says Wahle. Applying his new framework in the Philippines, Abelson says that creating alternative sources of income such as sustainable aquaculture and artwork for local people is a key part of the process. Convincing governments to fund the slow, expensive, uncertain process of restoration is another challenge, and Abelson hopes to see more scientific research directed toward developing cheaper, more reliable techniques for renewing degraded habitat. Although Abelson’s paper is the first to lay out a rationale for protecting damaged habitat as a first step to restoration, conservationists have already been applying some of his principles in a variety of environments. 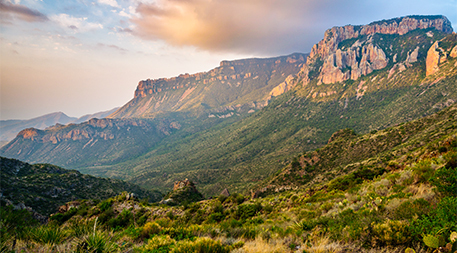 For example, in the late 1980s Texas’s Big Bend National Park accepted the donation of almost 70,000 acres (30,000 hectares) of ranch land, which became part of the park through an act of Congress. Since then, the park’s land managers have been working to reverse erosion and loss of vegetation in the area and return the arid grassland ecosystem to a functioning state. “Idealizing a distant wilderness too often means not idealizing the environment in which we actually live, the landscape that for better or worse we call home,” wrote environmental historian William Cronon in his 1995 essay “The Trouble With Wilderness.” As the world continues to change and perfect wilderness becomes harder and harder to find, we can’t afford to overlook the value of worn-out pieces of habitat for efforts to sustain disappearing ecosystems.